As many of you know, since some years we (Arc-Team) are supporting Prof. Tiziano Camgna's project regarding the underwater forest of Lake Tovel (1, 2) in Trentino (Italy). In the past days we are asked to give a lesson about our contribution to the project at the Liceo Scientifico Bertrand Russel of Cles (TN, Italy). In order to prepare some data for the event, I started to work on a 3D map of the underwater surface of the lake and, to collect material for different ArcheOS videotutorials I recorded almost the complete process. For this reason I start today a series of "minipost" to publish this material, hoping that this will be useful for some readers. In this first minipost I will write about open geodata, which are very important for archaeologists, but also for other professionals. Before to enter the topic, I have to say that we live and work (fortunately for us) in a Italian province (Trentino) which is sensible to this matter (open data). If you can understand Italian, you should read +Maurizio Napolitano's blog, one of the real expert in this field currently working at the Fondazione Bruno Kessler. During the Project Tovel I needed geographical open data to set up the GIS system with some basic cartography. More specifically I started with the "Carta Tecnica Provinciale" (a technical map of the province), which I downloaded form the "Portale Cartografico Trentino" of the S.I.A.T. (Sistema Informativo Ambientale e Territoriale of the Province Trentino). As you can read in the portal (sorry, just Italian), the C.T.P. (Carta Tecnica Provinciale) is available Under the Creative Commons Attribution 2.5 terms. The videotutorial you can see below just show the simple process to access and download these data (in raster or vector) form the webgis service. I hope this first post was youseful for some of you, have a nice day! One of the most significant characters in the History, transcribed by the biblical texts and surrounded by folklore, will have her face revealed to the world by the hands of a Brazilian. The 3D designer from Sinop-MT (Brazil), Cicero Moraes is responsible for the work that recreated the face of Mary Magdalene from her skull. Cicero is vice coordinator of Ebrafol (Brazilian Team of Forensic Anthropology and Forensic Dentistry) and member of archaeological research group Arc-Team from Italy. His work has gained worldwide prominence after forensic approximation made from the skull of St. Anthony, at the request of the University of Padova, Italy. It was the repercussion of the saint's image that granted the designer this new mission. Upon seeing the story on national television, the lawyer, researcher and writer from Ceará (Brazil), José Luis Lira, contacted Cicero. Former seminarian, member of Abrhagi (Brazilian Association of Hagiology), and a scholar of Catholic relics, Lira informed the designer of the existence of the preserved skull of Mary Magdalene. "That Mary Magdalene? I asked him, "says Cicero. The answer was affirmative and interest in the reconstruction was immediate. From the contact, a connection between Sinop, Ceará and Saint-Maximin-la-Sainte-Baume, a city in southern France began. The skull of Mary Magdalene is kept as a Catholic relic, in the shrine of Sainte-Marie-Madeleine's basilica. "I did not know neither this record or even the preserved skull actually existed", told Cicero. Lira and Cicero contacted priest Florian Racine, which after initial reluctance got in touch with Monsignor Dominique Rey, Bishop of Freus and guardian of the relic. "We exchanged a few emails and reveal our intention, both scientific and historical, without disrespecting in any manner the Catholic belief and faith. 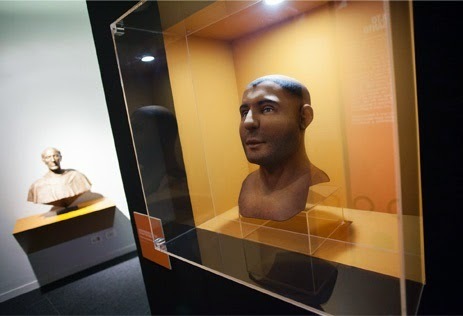 They understood and sent us photos of the skull that made possible the reconstruction," said Cicero. 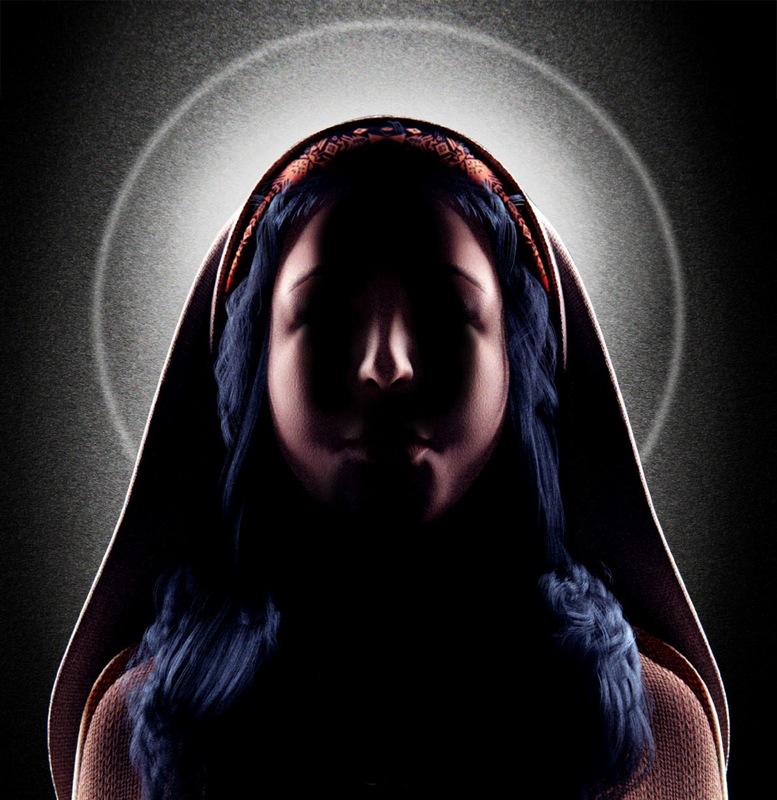 The face of Mary Magdalene will be presented to the world on 19 July this year, on the first day of the festivities organized by the basilica in honor of St. Mary Magdalene, the "Adoratio 2015" (www.adoratio2015.com). As with St. Anthony, the face will be revealed in an official event organized by the Catholic Church. Is it actually Jesus' Mary Magdalene? All the evidence, historical records and traditions point out that yes, this is the skull of Mary Magdalene mentioned in the Scriptures. The relic was recognized and visited, throughout history, by eight kings, four popes and evangelists who would later be recognized as saints. 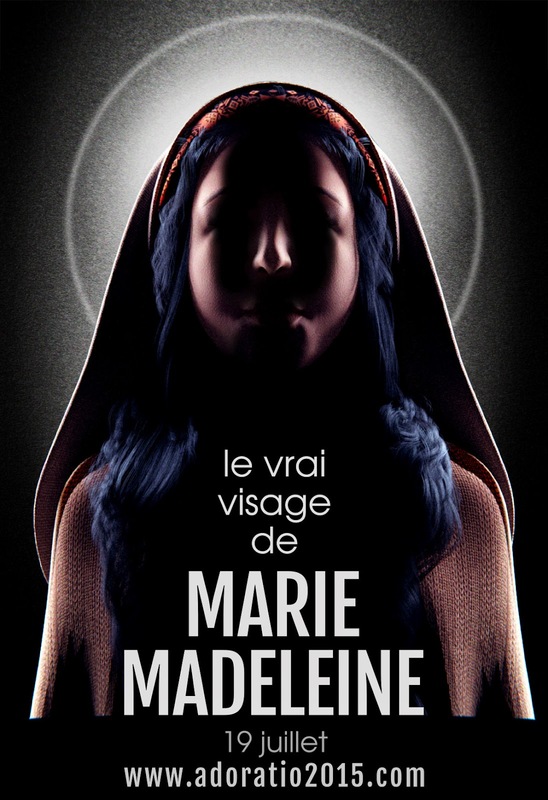 History, which mixes narratives transcribed in the Bible with the tradition of southern France, points that after Pentecost (which according to Catholic belief is the descent of the Holy Spirit upon the apostles of Jesus Christ), Mary Magdalene, as well as other subjects of Christ, left Palestine, fleeing persecution and helping spread the Catholic word. Along with Lazarus and Martha (her siblings), St. Maximin and St. Sidonius (the blind man healed by Christ), Mary Magdalene came to the South of France in a small vessel. Lazarus was the first bishop of Marseille, a major city in France. Maximino, former butler of Bethany house (family of Lazarus), was the first bishop of Provence and later lent his name to the city. The French tradition says that Mary Magdalene dedicated herself to spreading the teachings of Christ, following St. John the Evangelist for a while. For 30 years she lived in caves in the Alps and in the year 49 a.C. she received extreme unction, with her body kept in the Church Saint-Maximin-to-Sainte-Baume. And there the remains of the preferred follower of Jesus rested for over 1200 years until being discovered by the Prince of Salerno and future King of Naples, Charles II, on September 9th, 1279. Skull gained status of Catholic relic in 1600, when Pope Clement VIII ordered the construction of an appropriate sarcophagus to house the bones of Mary Magdalene. During the French Revolution (1789) the relics have endured hard times, marked by the presence of rebels and invaders, barely avoiding getting lost. Only in 1814 the temple would be restored and the relic with the head of Mary Magdalene was recovered. Today the skull of Mary Magdalene is kept in a gold reliquary, shaped like a bust of a woman. The gold mask with its "face" opens, revealing the skull behind a glass case. Just like priest Racine lifted that mask, putting it aside to record the digital images of the ancient bones, Cicero will also remove a veil and reveal the face that once contemplated Christ. According to Cicero, this was one of the greatest learning in this case. "I realized that prior to reproducing a story or passing something forward, we must try to know what it really is about" said the designer. Like most people, Cicero knew Mary Magdalene as a prostitute that Christ saved from being stoned to death. "There is no account in the Bible that it was Magdalene" he said. The confusion with the Magdalenes began in 591, with a sermon of Pope John Gregory the Great, who identified the three "women" listed in the passages of Jesus as the same person: Mary Magdalene. Besides that one in which Christ avoids her stoning, the other two passages deal with a Magdalene that had seven demons expelled from her body by Jesus, giving away all material property and to follow the Messiah afterwards; and another more emblematic passage, where Magdalene washes the feet of Jesus and dries it with her hair. Nearly a thousand years later a papal encyclical clarified the confusion signed by Pope Gregory, still Magdalene was labeled as the prostitute of the Bible in many cultures. In France she is Holy, recognized in the scriptures as the first person to see Christ after his resurrection. Even though her gospel was excluded from the Bible, Magdalene is considered an important figure in the history of Christianity. 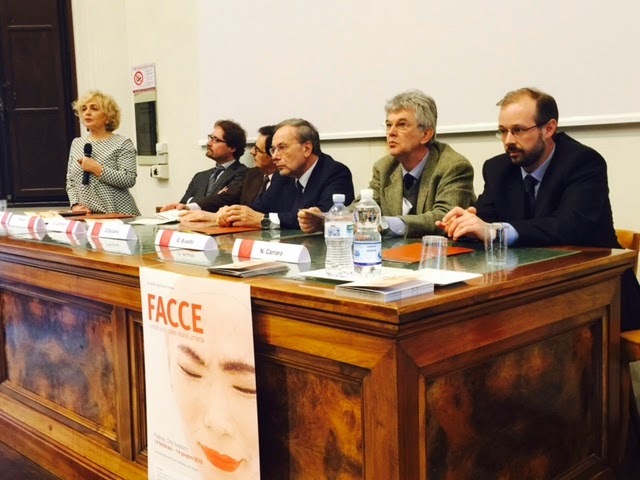 It is with great joy that I communicate the opening of the exhibit "FACCE, i molti volti della storia umana" (FACES. The Many Visages of Human History). The press conference took place on Feb. 13th in Padua and the doors were opened to the general public in February 14th, 2015. 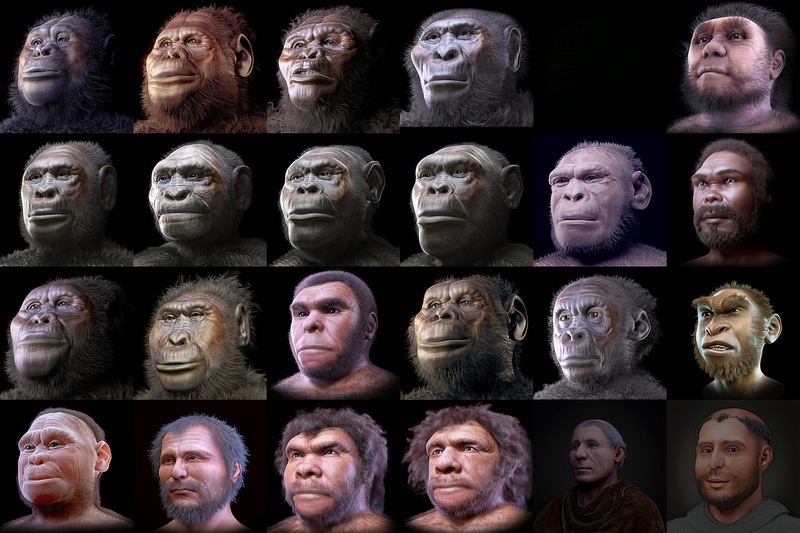 I was honored to participate in the modeling of 27 facial reconstructions, which I will show below. 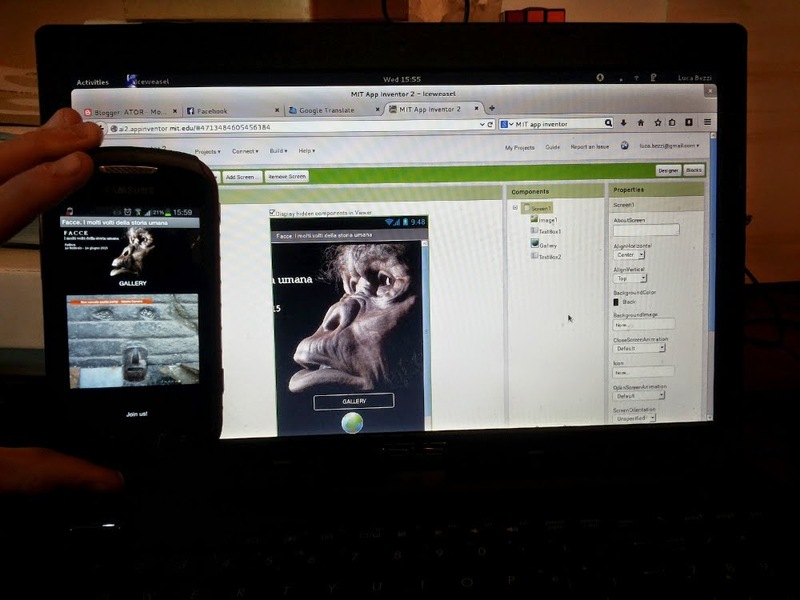 An interesting fact to report is that all processes, from scanning of fossils and skulls to modeling and presentation of media (images, videos and augmented reality) were performed using only free and open source software. 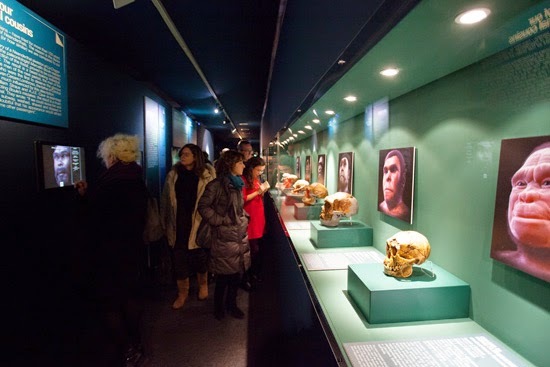 The story the exhibition however begins in 2012 when the idea to reconstruct the face of a small hominid dead at the young age came to thought. It was the Taung child, an Australopithecus africanus with 2.5 million years. Back then, a partnership was established between the Museum of Anthropology at the University of Padua, the association of Italian anthropologists Antrocom Onlusand the Arc-Team research group in Italy, which I am part of. 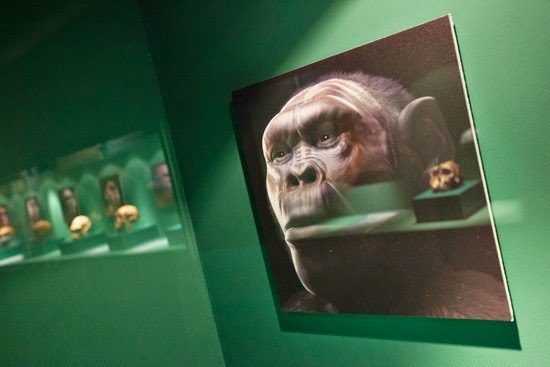 The Taung Project was successful and I decided to extend the library of hominids reconstructed. I contacted the archaeologist Moacir Elias Santos, PhD and received hundreds of photographs of fossil replicas, which were 3D scanned and allowed for more than a dozen faces to be reconstructed. The result of this work was the exhibition "Faces of Evolution", organized by the Rosicrucian Egyptian Museum at the city of Curitiba, Brazil and inaugurated on May 18, 2013. 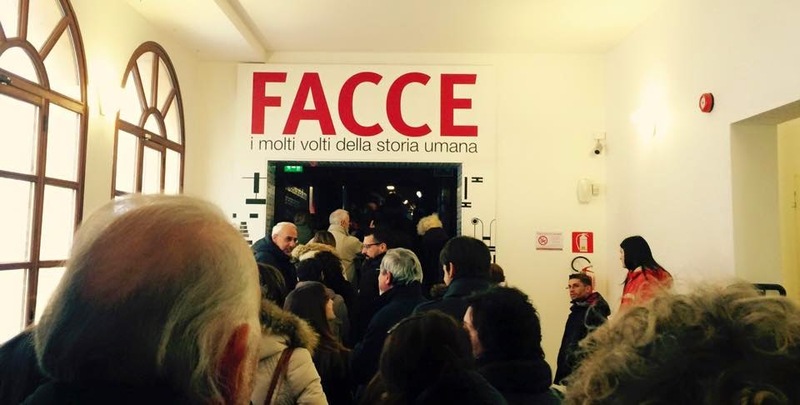 The idea the exhibition FACCE began to take shape still in 2013. It took months of discussions about the technologies and formats to be employed. Unlike the Brazilian exhibition, the Italian exhibition contemplates other fields, like a reflection on racism, the philosophical idea of what a face is, the masks covering one face with another one, the increase of species on the list of hominids and also the reconstruction of historic figures of Padua, which I had no idea of their identity at the time, and by the way, the last one was disclosed to me few months ago in late 2014. Table composed for the presentation of exhibition FACCE. To boost the interest of the general public on the exhibition we decided to present the face of the first paduan personality, the Portuguese Fernando Martins de Bulhões, who was to become a Franciscan and die as St. Anthony of Padua. St. Anthony's face had a such broad impact we even lost track of the materials published on this work. That is from February to June 2014 when we finally presented his bust in Padua. 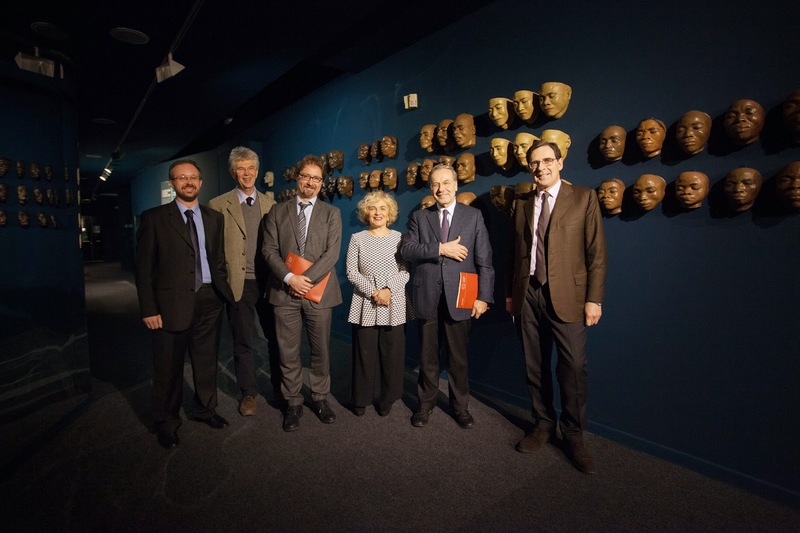 The FACCE exhibition that it is now inaugurated was the result of a partnership between the Museum of Anthropology at the University of Padua, the Antrocom Onlus, the International Museum of the Mask "Amleto e Donato Sartori" and the group of archaeological research Arc-Team. Soon I will create other posts with more information and pictures about the personalities and the technologies involved with the exhibition. Luca Bezzi, Alessandro Bezzi, Dr. Nicola Carrara, Emma Varotto, Moreno Tiziani, Dr. Takeshi Nishimura (KUPRI), Dr. Jorge Vicente Lopes da Silva, Paulo Henrique Junqueira Amorim, Thiago Franco de Moraes, Dr. Moacir Elias Santos, Vivian Tedardi, Liliane Cristina Coelho, Dr. Paulo Eduardo Miamoto Dias, Dr. Rodolfo Francisco Haltenhoff Melani, Msc. Aleksandro Montanha, Daniel Douglas Ludwig, Teófilo Fábio Macedo, Mari Bueno, Luciano Aguiar Vendrame, Lis Caroline de Quadros Moura, Vanilsa Inez Pagliari, Elizangela Patrícia Pagliari e Elias Francisco Pagliari.